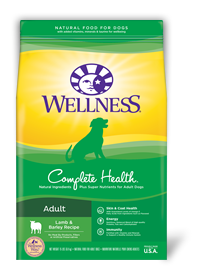 DOGS OVER 125 LBS (57 KG): Add 1/4 cup (34 g) per additional 10 lbs (4.5 kg). 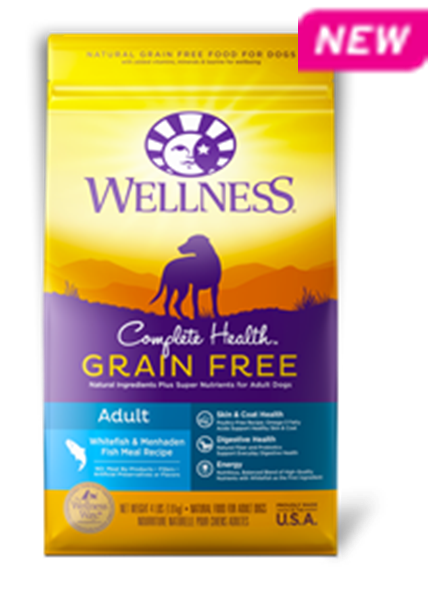 COMBINATION FEEDING: If feeding with Wellness wet food, reduce dry amount by 1/3 cup (34 g) for every 6 oz (170 g) of wet food. 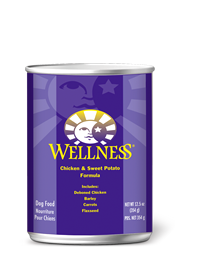 CALORIE CONTENT (CALCULATED): This food contains 3,574 kcal/kg or 422 kcal/cup ME (metabolizable energy) on an as fed basis.